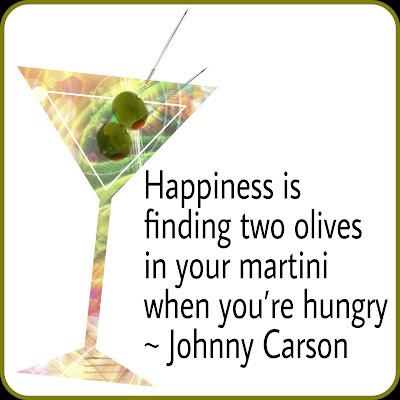 There is always someone out there who says to me, "it's not a martini unless it's just gin and vermouth!". I agree, a modern martini is gin and vermouth with either a twist of lemon or an olive garnish. Let's not argue. If you walk into a bar and order a martini you should be given something that contains gin and vermouth. Anything else should be prefaced with a "somekind of" martini. If you add Red Vermouth it is then called a "Perfect Martini". If you use vodka instead of gin it is properly called a "Vodka Martini" or a Kangaroo. If you put a cocktail onion in it instead of a twist or an olive it is a "Gibson". If you add olive juice to a gin martini it is a "Dirty Martini" if you add olive juice to a vodka martini it is a "Dirty Vodka Martini". Anything else is what I term a "designer" martini - a cocktail that is served in a martini (cocktail) glass. I have stated often that I love martini glasses but I am not fond of these classics. The advent of the "designer" martini finally gave me a way to enjoy cocktail hour with the glass form of my choice. I have since developed my cocktail palate more and do enjoy a good martini these days, but only if made with excellent gin and good vermouth, therein lies the difference for me. To all your "purists" out there I say "Loosen Up, Get Off Your High Horse and Take the Cocktail Pick Out of Your Behind." Cocktails are all about fun - do we drink to get serious? 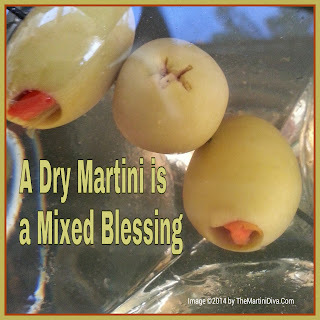 No, we drink to enjoy ourselves and relax -- and maybe you should be ordering a "Martinez" instead of your "Martini" as the "Martinez" (recipe below) may very well be the very first version of the modern day Gin Martini.